Fox was up yesterday at the TCA Summer 2017 press tour. Among the announcements were Fox's next live musical event, A Christmas Story, will air Sunday, Dec. 17 from 7:00-10:00 PM ET live/PT tape-delayed LIVE on Fox. From Warner Horizon Unscripted Television, the three-hour live television event, inspired by the holiday classic feature A Christmas Story and the Tony Award-nominated Broadway production A Christmas Story: The Musical, will be executive-produced by award-winning film, television and theater producer Marc Platt (Grease: Live, La La Land). The epic adaptation will be filmed at the historic Warner Bros. Studios in Burbank. Emmy Award nominee Maya Rudolph (Saturday Night Live, Bridesmaids) will star as the mother of nine-year old "Ralphie Parker." Additional casting information to be announced soon. Up next, Emmy Award- and Golden Globe-nominated actor Peter Krause (The Catch, Six Feet Under) has been cast in a lead role in Fox's provocative new drama, 9-1-1, from creators Ryan Murphy and Brad Falchuk (the American Horror Story" franchise, Nip/Tuck). The series will premiere in 2018. Krause joins previously announced Academy and Emmy Award nominee Angela Bassett (American Horror Story, What's Love Got to Do with It), in a new series that will begin with the fateful question, "9-1-1, what's your emergency?" The procedural drama explores the high-pressure experiences of police, paramedics and firefighters who are thrust into the most frightening, shocking and heart-stopping situations. These emergency responders must try to balance saving those who are at their most vulnerable with solving the problems in their own lives. Fox has ordered the new singing competition series The Four, it was announced. The Four begins where most competitions end: with the four finalists. Four super-talented and fiercely competitive singers, chosen from their auditions by the show's panel of music industry experts, will try to defend their coveted spots on the stage, as they are challenged individually by new singers determined to replace them. Each week, if any of the four are outperformed, they'll go home and their challengers will take their place. Expert panelists and additional information regarding The Four will be announced soon. With both series seeing record viewership this season, HBO has renewed the comedy series Ballers for a fourth season and Insecure for a third season. 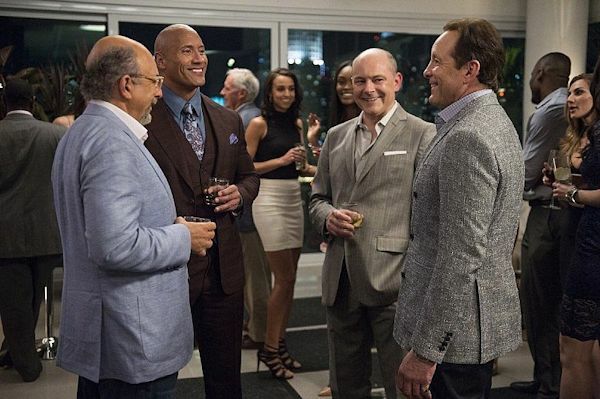 Looking at the whirlwind lifestyles and real-life problems of former and current football players, Ballers stars Dwayne Johnson as ex-superstar Spencer Strasmore, who has reinvented himself as a financial manager for today's players in sun-soaked Miami. The hit comedy series returned for its ten-episode third season Sunday, July 23, exclusively on HBO. Other cast regulars for the current season include: Rob Corddry, John David Washington, Omar Benson Miller, Donovan Carter, Troy Garity, London Brown, Jazmyn Simon and Dulé Hill. Created by Issa Rae and Larry Wilmore, Insecure follows the friendship of two black women as they deal with their own real-life flaws while attempting to navigate different worlds and cope with an endless series of uncomfortable everyday experiences. 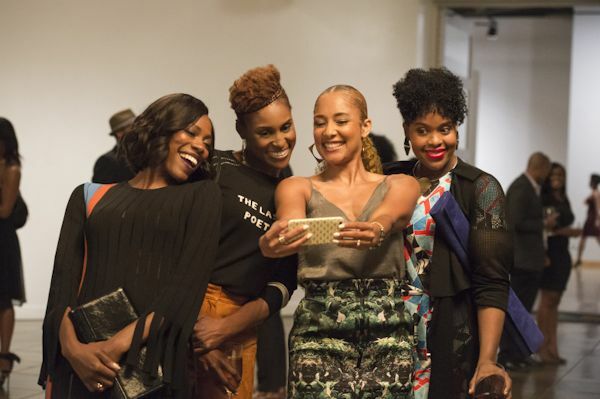 Issa Rae, Yvonne Orji, Jay Ellis and Lisa Joyce star in the show, which returned for its eight-episode second season also on Sunday, July 23.